Home | Luxury Rehab | Is Addiction its Own Genre in Entertainment? Addiction is something that affects millions of Americans and most people have known at least one person that is dealing with an addiction. It is a struggle that we all know or have witnessed in our lives and that may be part of the reason addiction stories are so prevalent in entertainment. 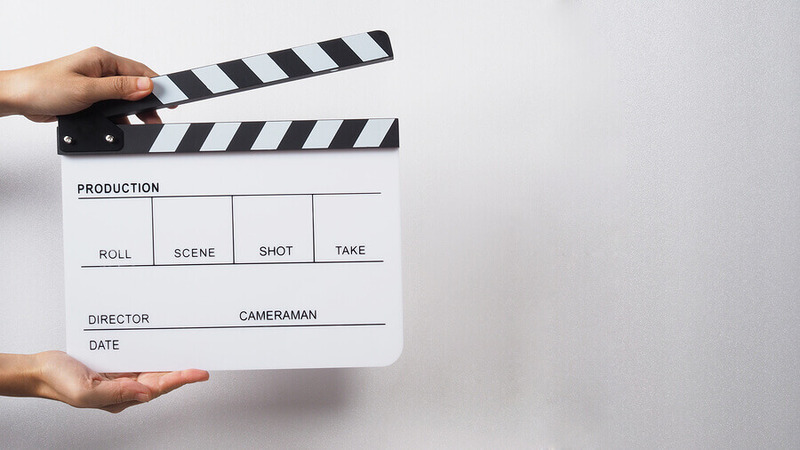 People want to see and hear about addiction in movies, music and television because these kinds of stories can so closely reflect our own lives and the things that we go through. When film, tv show, song or album discusses issues of addiction it can be eye-opening and heartbreaking but also inspiring for people. It can help them understand their own problems with addiction or their family member or friend who has had addiction issues in the past. For the people who are still struggling it can motivate them to get help for themselves or for someone in their life. With the recent success of Bradley Cooper’s film “A Star is Born”, it is clear that audiences can relate to stories of addiction even though they are tragic and difficult to watch. Although addiction is not necessarily considered a “genre” there are many different kinds of entertainment that focus on addiction and often recovery as well. Addiction in entertainment helps us make sense of this terrible affliction that still affects almost every American in some form or at some point in their lives. Discussions of addiction and even real life stories of recovery are still an integral part of the film industry. Aside from Cooper’s hit film, recent Oscar contenders also focus on addiction such as “Beautiful Boy” and “Ben is Back” which both discuss the difficulty of being the parent of a child with a drug problem. “Beautiful Boy” is based on the real life memoirs of a father and son who dealt with the child’s addiction to multiple drugs as well as his relapse, survival and ultimate recovery over a period of years. Hollywood has always made a number of incredible films over the years that tell true or realistic stories about an individual’s struggle with addiction. Early films like “The Lost Weekend” from 1945 take a painful look at the downward spiral of alcoholism as the main character falls off the wagon and goes on four day bender. Other classics include “The Panic in Needle Park” from 1971, starring Al Pacino which chronicles the worsening addiction of two heroin addicts that fall in love in New York. There have been many great films that discuss addiction by warning about the dangers or showing the potential people have to recover and change. Other classic titles include “Less than Zero”, “Permanent Midnight”, “Requiem for a Dream” “Trainspotting”, “Leaving Las Vegas” and many more. Seeing these kinds of realistic stories can be harrowing but also life-changing for people that have had their own problems with addiction. The music industry is also no stranger to addiction and drug abuse has been the downfall of many of the most creative and celebrated musicians of all time. Songwriters and artists who have dealt with drug abuse often let these issues find their way into their lyrics. A single song or even an entire album that touches on the subject of addiction can be a work of art that stands the test of time because of its honesty and vulnerability. Classic albums such as “Harvest” by Neil Young, “Rehab” by Amy Winehouse, “Grace” by Jeff Buckley and many more all discuss the artist’s personal issues with addiction. A more recent album “Southeastern” by Jason Isbell discusses the songwriter’s addiction and struggles with recovery after getting sober. Most of Elliott Smith’s songwriting addresses his problems with addiction and depression which plagued him for most of his life. There are countless songs about addiction and the dangers of drug abuse that illustrate the artist’s personal experiences with drugs. Songs like “Heroin” by the Velvet Underground, “Fire and Rain” by James Taylor and “Under the Bridge” by the Red Hot Chili Peppers are all famous songs that take the listener inside the mind of an abuser. Hearing these kinds of lyrics can be relatable and even healing for people that have had their own experiences with addiction. As long as people still struggling with the realities of addiction, there will always be a place for those kinds of stories in entertainment. People who have been through addiction need to express their feelings about it through art and audiences need to hear about it to understand and relate their own experiences to it. In a sense, different types of entertainment have a genre of addiction because it is so pervasive in our society. Discussing addiction in music and in film helps us all to heal from the disease that affects millions of people every day.